Gold Claddagh Ring - CL5CL. Free Worldwide Delivery and Price Promise. 9K Gold Ladies Claddagh Ring. We strive to keep the Irish Claddagh Jewelry tradition alive. Gold Claddagh Ring for Ladies made of 9ct Gold. 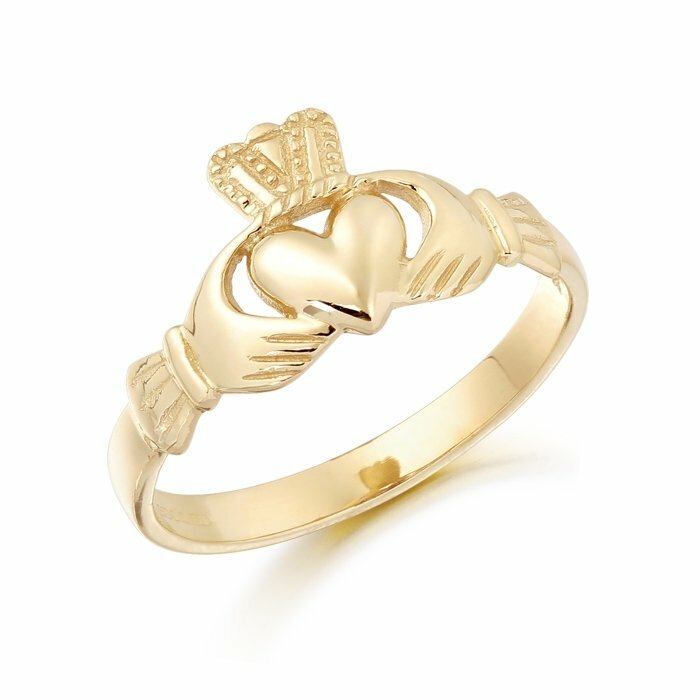 This ladies plain 9ct Gold Claddagh Ring is simple in design which makes a perfect gift for your loved one. The Irish Claddagh Rings are the most culturally rich pieces of Irish jewelry ever recorded in history. The meaning, significance and history of the Claddagh has a rich ancient past that dates back to over 300 years. This is a very elegant Ring and unmistakably Irish which is also tested and Hallmarked for quality in Dublin Assay Office. Design of the Claddagh and also the way Ring is worn are all deeply rooted in Irish tradition. We The Irish Jeweler strives to keep the Irish Claddagh Jewelry tradition alive. We create the world’s best Claddagh Gold and Silver Rings. Our unique collection of authentic, handmade Claddagh Engagement Rings have been designed to catch the eye. Finally, take advantage of our Free Worldwide Delivery.